Please Note Mass Schedule on Picnic Weekend: On Saturday, August 11th, there will be a special 11:30PM Mass for picnic workers and guests. Thank you for adjusting your schedules. Workers Needed: Volunteers are needed to work our Haluski Stand, Hot Dogs/Hamburgers/Sausage & Peppers Stand, Pizza Stand, Potato Pancake Stand, Big 6 Wheel and Games of Chance Stands. Thank you for your help! Please Note: The Rectory Office will be closed until Tuesday, August 14th – except for Bazaar related Business or Emergencies. Holy Day of Obligation: Mary’s Feast of the Assumption – Wednesday, August 15th. Vigil Mass will be on Tuesday, August 14th at 5:30PM. 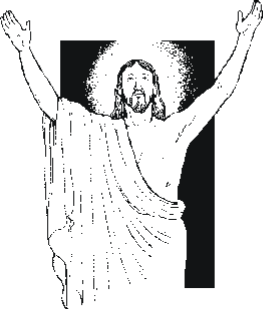 Masses on the Assumption will be at 7AM & 9AM. Bring Flowers & Herbs for Blessing in honor of Mary’s Assumption. This Weekend, we welcome our Missionary, Fr. Devadas Siddipogula, who will speak on behalf of the Kurnool Diocese in India. Our Parish Family is a WNEP TV Star! – This week, August 6th thru 10th, see our Picnic Spot on “Good Morning Pennsylvania.” Air times: 8:27AM on WNEP 16 and after the 10PM News on WNEP-2. Our deepest, prayerful gratitude to WNEP 16’s kindness, Barbara Sura and each and everyone who made this possible. Last Call: New Altar Server Class begins soon. All ages welcome! If interested, please call the rectory (570-779-9620) and leave name & phone #. Thanks for serving at Our Lord’s Table. Ministry Schedules for August/September are available for pick-up in the Sacristy and are on our parish website. Prayer Shawl Meeting and Work Session will be held on Thursday, August 16th at 6PM in the church hall. All are invited and welcome to join our ministry. If someone you know needs a prayer shawl please contact the rectory. If you aren’t able to attend a meeting, but want to donate a lap robe, shawl or afghan, please contact the rectory office. Thanks! If you aren’t able to make an afghan, monetary donations are most welcome and appreciated. They can be made via collection basket (place in an envelope marked “Yarn/Afghans”) or sent to the rectory office. Thank You for helping us to help others. 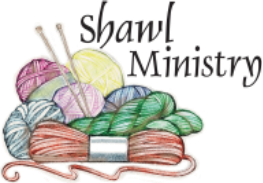 Thank You from the Prayer Shawl Ministry to all crafters who created items for our Afghan and Cash & Carry Stands – ditto to all who gave monetary donations for yarn. Our stands will be exceptionally beautiful this year!